If you’ve ever strolled down a bookstore aisle lined with love stories, odds are you have encountered the enchanting artwork of Pino. 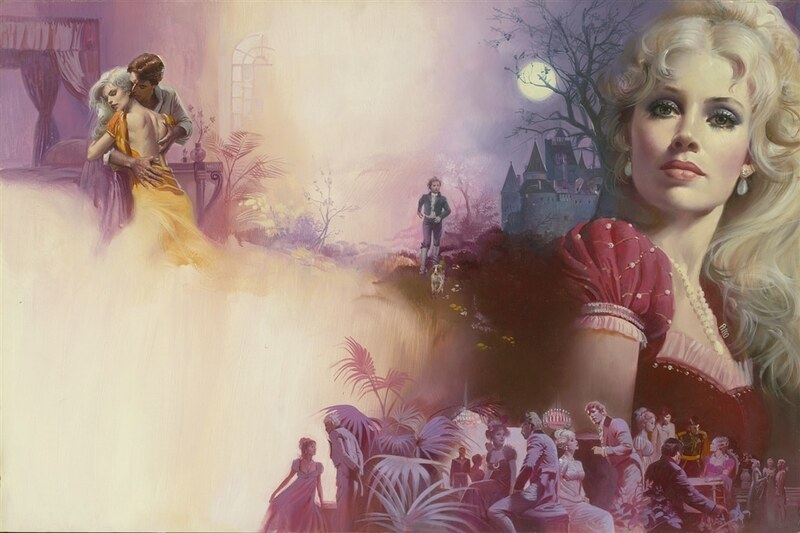 Legendary artist Pino is best known for his stunning depictions of women, images still found sprawling across the covers of Harlequin romance novels. The Italian painter is celebrated for his notable illustrations featuring Fabio as well as his textured paintings that capture movement and emotion. Pino passed away on May 25, 2010, but his memory lives on through both his artwork and his children. Join us as we celebrate Pino’s amazing artistic legacy through the intimate memories of his son—Max Dangelico. When he stepped through the front door of his family’s New Jersey home, Max Dangelico recalls hearing Italian songs from the 1950s and ‘60s flowing throughout the house. Music was how he knew his father was painting. 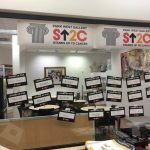 “It was always nice to enter the house, coming back from school or coming back from college, and the first thing you would hear is the music in the background,” Dangelico says. 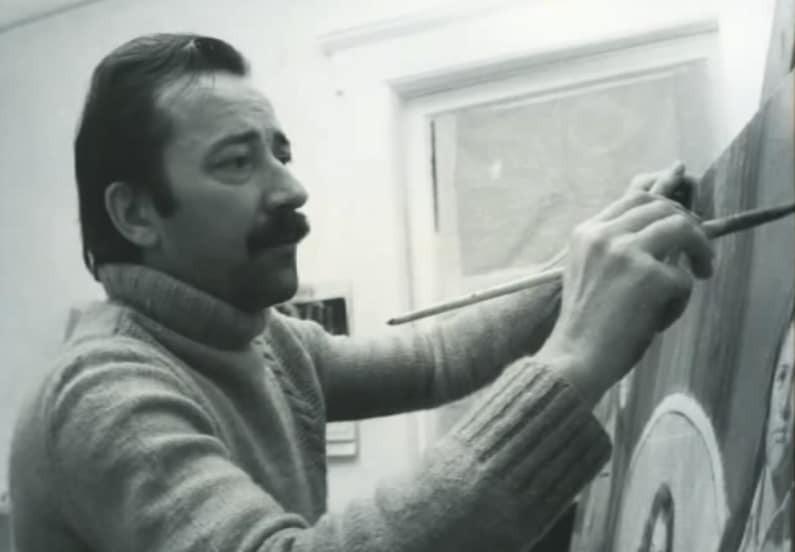 Pino working on one of his paintings. Growing up, Dangelico’s tight-knit Italian family was closely involved with his father’s artistic life. Whether they were sitting around the dinner table or gathering in his studio, Pino’s family had a front-row seat to the creative process behind his famous works of art. Pino would often pull artwork out of his studio to show his family his latest projects. Dangelico said Pino often complained about parts of the painting he wanted to change or aspects of the artwork he thought weren’t working. 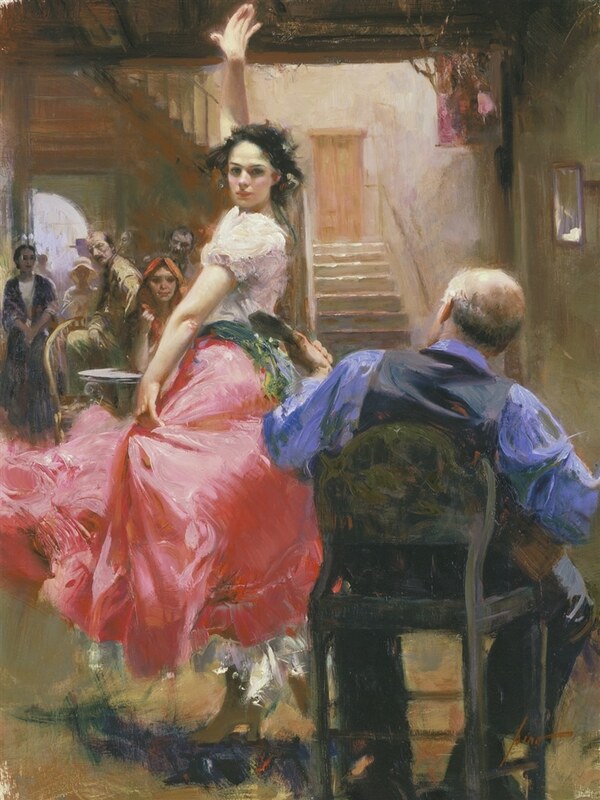 As an artist, Pino was never satisfied with his work, an attribute Dangelico remembers fondly. Pino’s family was more than just a spectator to his creative process. 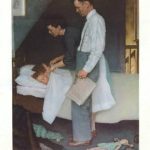 While he was working as an illustrator, Pino’s wife played a critical role in fleshing out the story behind her husband’s illustrations. Dangelico says his mother would read the novels, and then give Pino a synopsis to create his the cover art. Although he used models to begin the illustrations, Dangelico said his father relied on his own imagination to fill out the characters. Dangelico describes his father as “charismatic” and social. Throughout his life, Pino took his family to visit art galleries and museums, cultivating a love of art in Dangelico. Although he didn’t inherit his father’s artistic skill, Dangelico joined the art world when he began expanding his father’s business. 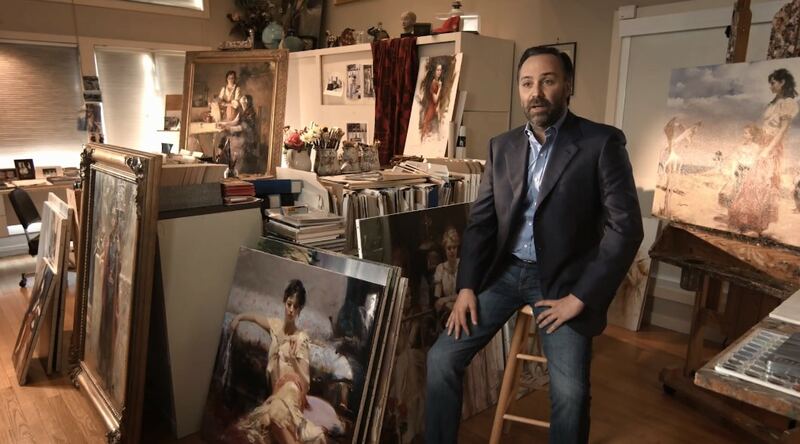 He helped his Pino bring his artwork to more collectors by making limited editions of the captivating paintings. Pino’s artwork quickly grew from appearances in only three galleries to more than 250 art galleries in the United States alone. “It was beautiful because I was able to work with my father, not only with him but with his artwork,” Dangelico said. The overwhelming success Dangelico and his father experienced was wonderful, but Dangelico says the real honor was spending time with his father. Born in Southern Italy on November 8, 1939, Pino grew up in a “big Southern Italian family” during the post-WWII era. Because many men had died at war, Pino was raised in a home surrounded by the women of his family. 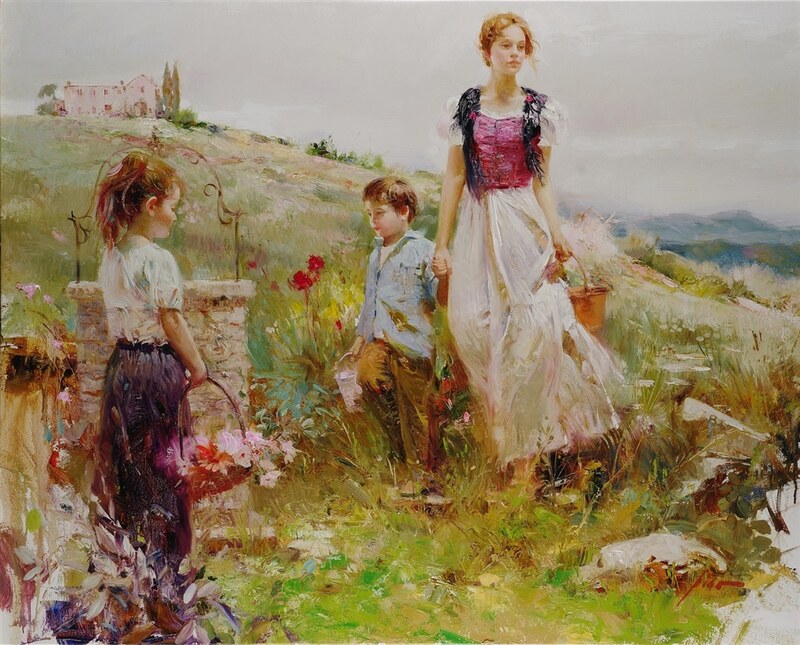 Both women and family are strong themes seen throughout Pino’s paintings, with imagery ranges from women and children walking alongside the ocean to sitting around the dinner table. “The family scenes are what everyone held dear, and that’s what he held dear until the last day of his life. That’s what was important to him,” Dangelico says. At a young age, Pino became fascinated with drawing. Because his family spent most of their time inside their home, most of his subjects included whatever was around the house. When he was 18, Pino moved to Milan to perfect his talent at Milan’s Academy of Brera. One by one, he brought his family to live with him in the city. After moving to Milan, Pino took on his first artistic position as an illustrator for Italy’s two largest publishers, Mondadori and Rizzoli. 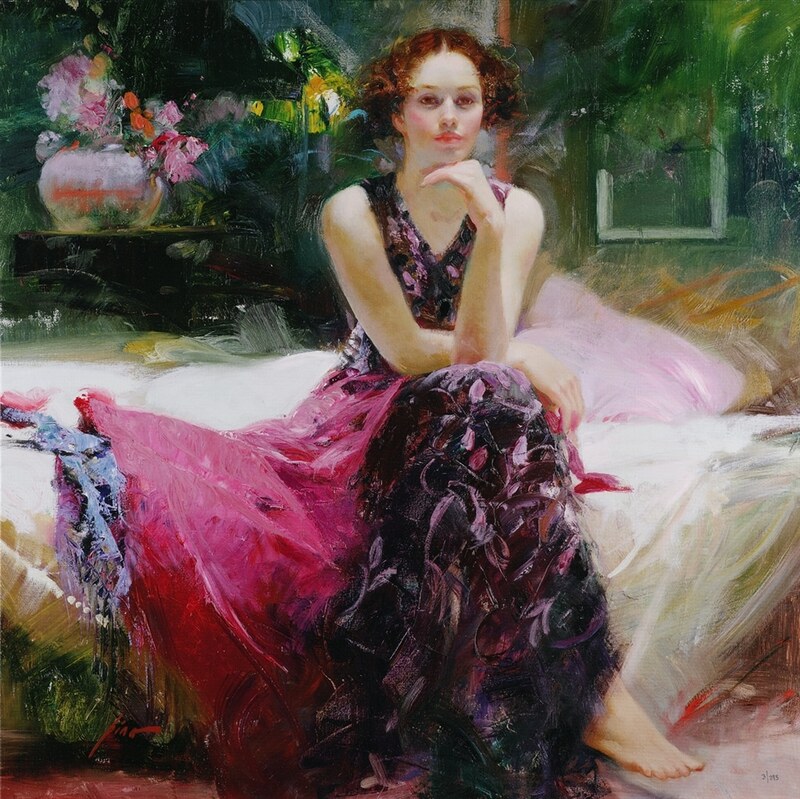 Following his first step into the artistic field, Pino never held a job as anything but an artist. In 1978, Pino immigrated to the United States where he gained popularity among numerous book publishers such as Penguin USA, Zebra and Harlequin. Since his death in 2010, Pino’s artwork lives on through his vast number of popular illustrations and life-like paintings. As an artist with Park West Gallery, Pino was honored to meet some of the collectors who were passionate about his artwork. After his father passed away, Dangelico made the decision to keep his father’s artwork under one roof. Park West Gallery is proud to be the exclusive dealer for Pino’s estate. “The only person that could do that is Albert and Park West. It really has been an amazing partnership, ” Dangelico said. 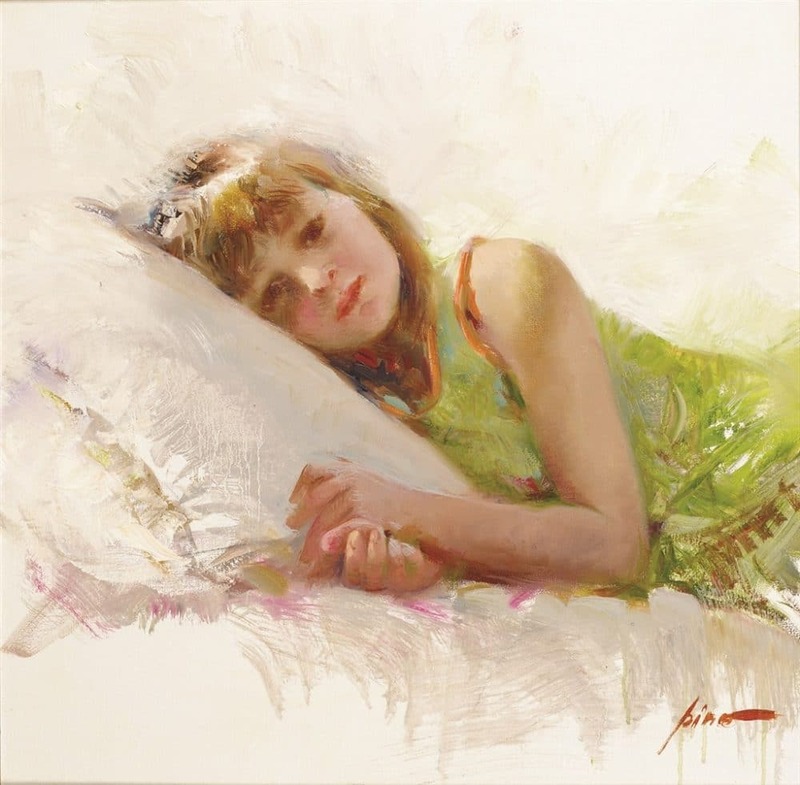 If you’re interested in the works of Pino, contact our gallery consultants at (800) 521-9654 ext. 4 or sales@parkwestgallery.com for information.